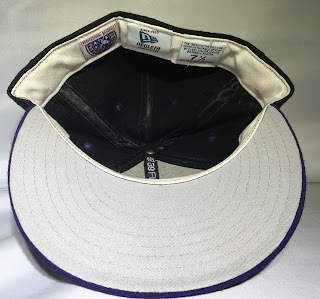 1998 Norwich Navigators - Fresh Fitted Friday!!!! When the Albany-Colonie Yankees of the Eastern League moved to Norwich, CT in 1995, their rebrand as the Navigators lasted until the 2006 season when they renamed themselves the Connecticut Defenders. In 2010, the team moved to Virginia to become the Richmond Flying Squirrels which as I'm sure you know was a project helmed by Brandiose. 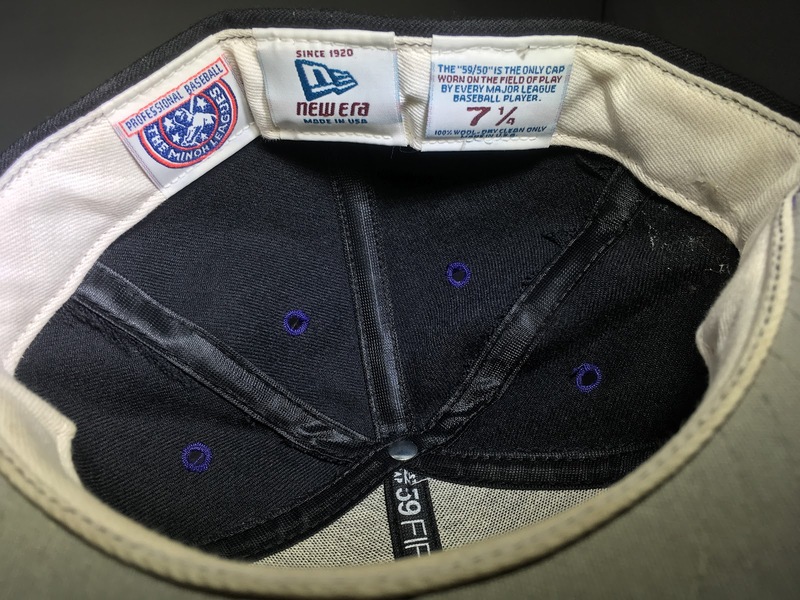 The logos and sweatband tags are spot on with other caps that are tagged here as 1998 but as we saw with last week's Timber Rattlers cap, the lack of a New Era flag is not always a dead giveaway that a cap is from before 1999. 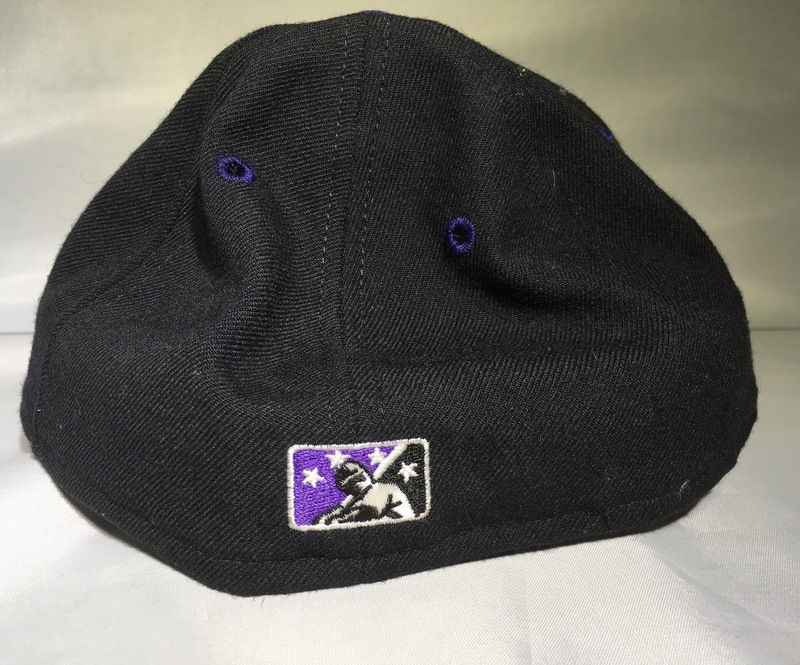 Just like with last week's cap, I've seen lots of 1999 baseball cards where players wore Navigators caps without the flag. 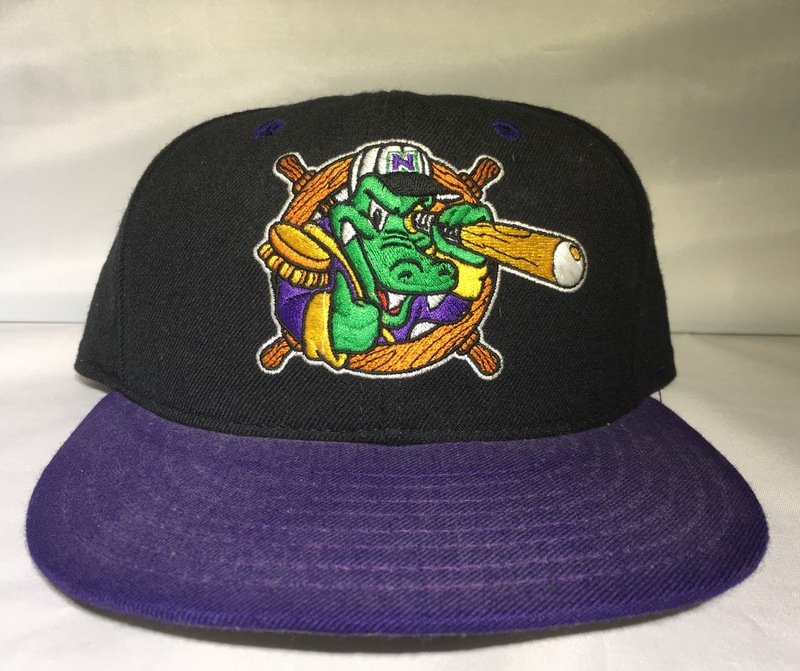 One last item of note that a friend recently pointed out to me was the nautical correlation between the Navigators and the Triple-A team that was a level above it for many years: the Columbus Clippers. Even though the Navigators logo is cartoonishly hokey, I like that the Yankees allowed the team to have fun with it as it's an organization that is known to run a tight ship. I'll be here all week; try the veal. Make sure to check back here next week for another cap from The Great eBay Haul but just as a reminder, if you've got to own this week's cap (size 7 1/4) - or any previously featured caps from the haul - and you have an interesting-ish and fresh-ish fitted cap sized 7 3/8 to 7 5/8 to trade, please reach out with an offer. And if it's not a fitted, a certain snapback might work too!